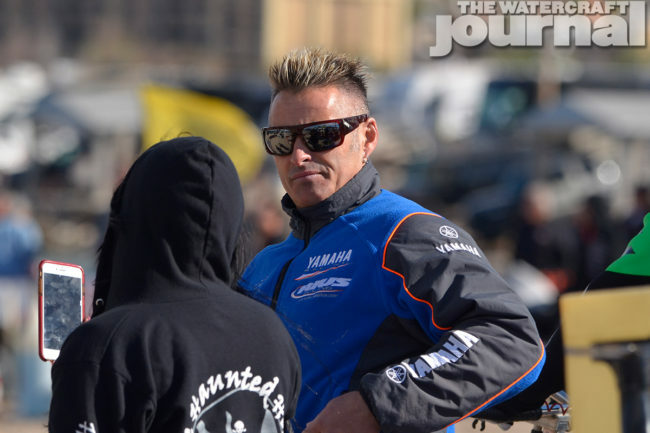 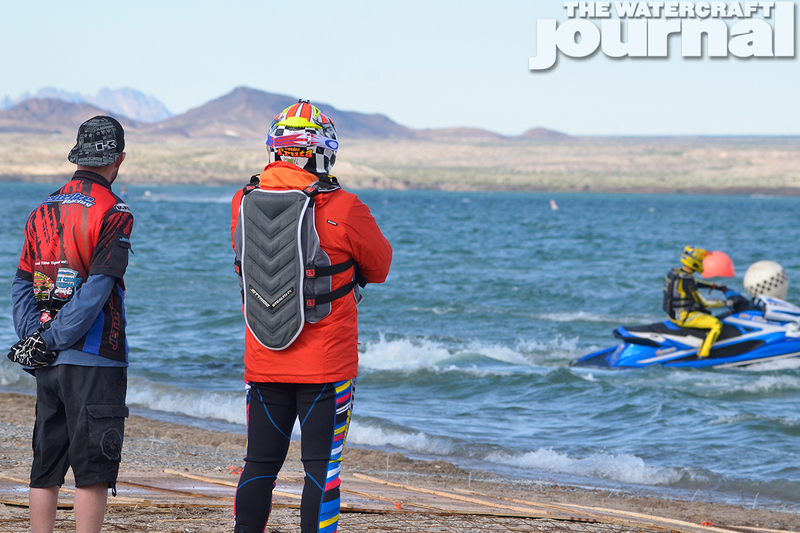 Gallery: 13th Annual 2017 Hot Products Mark Hahn Memorial Havasu 300 Presented by Yamaha | The Watercraft Journal | the best resource for JetSki, WaveRunner, and SeaDoo enthusiasts and most popular Personal WaterCraft site in the world! 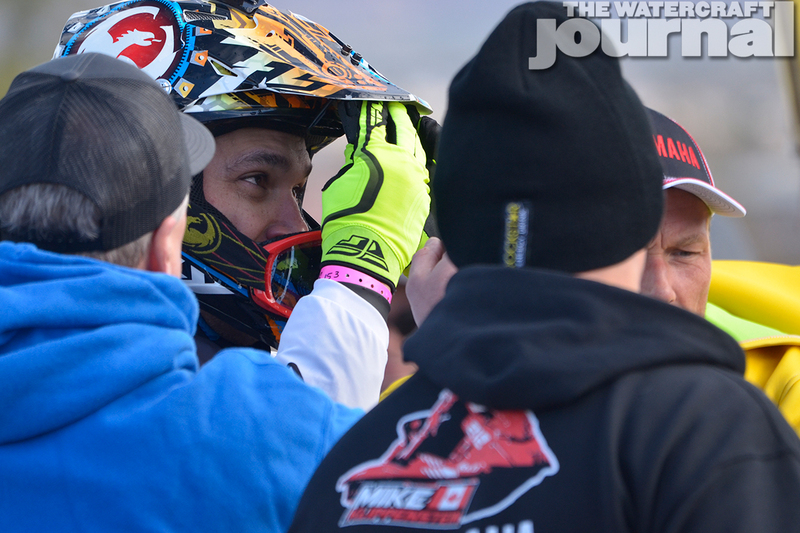 If superstition was at play, it couldn’t have been more evident. 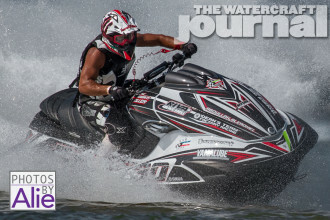 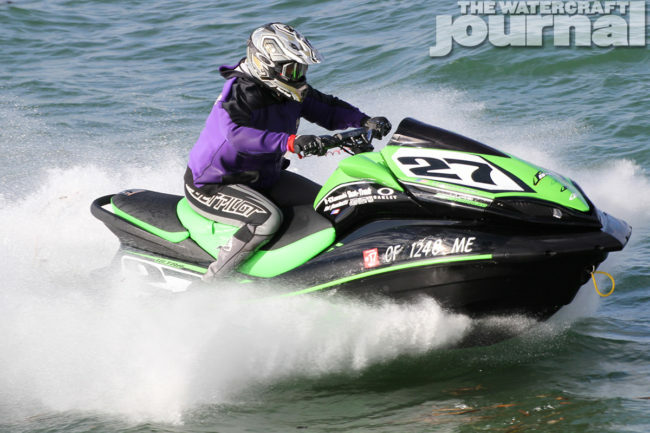 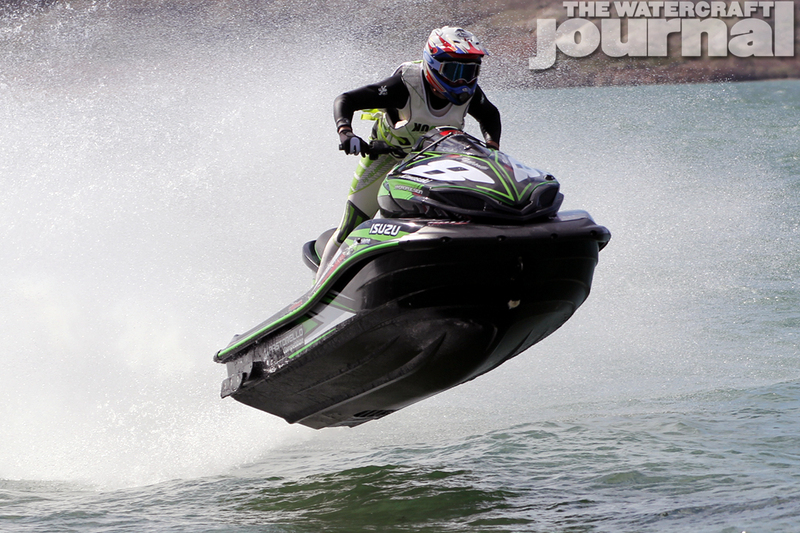 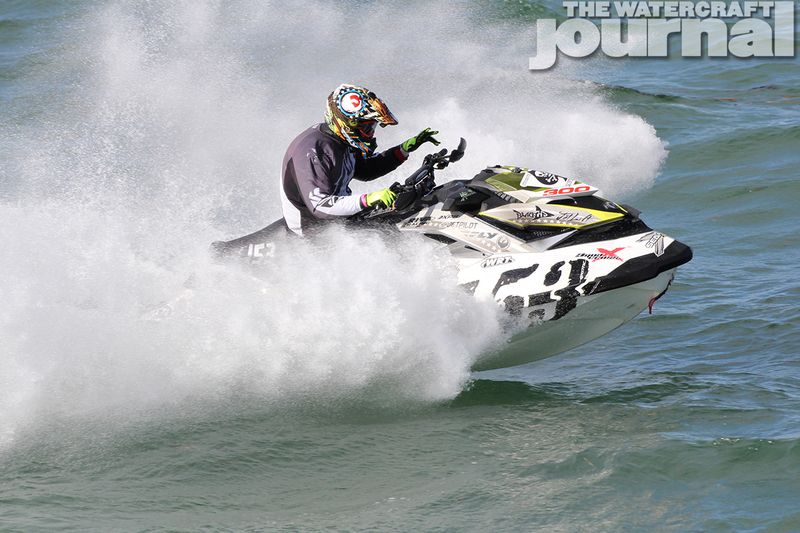 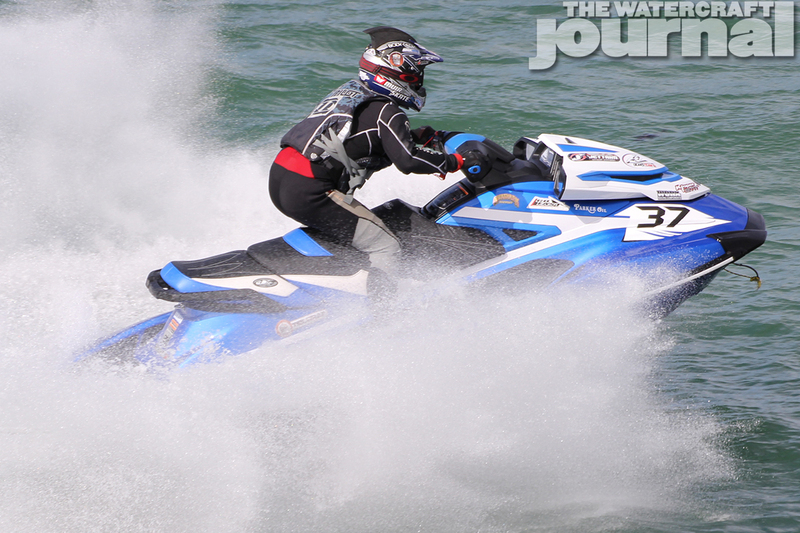 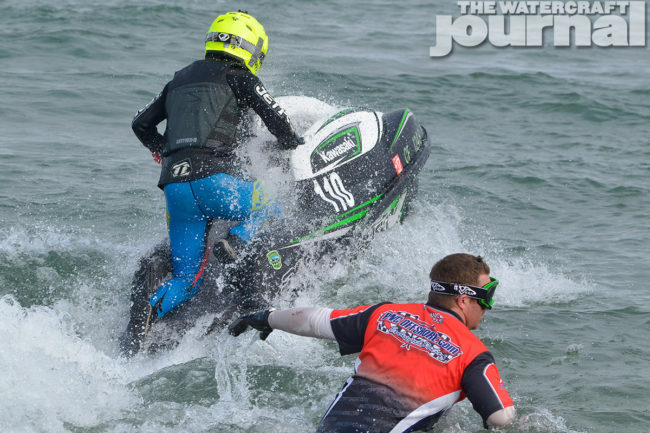 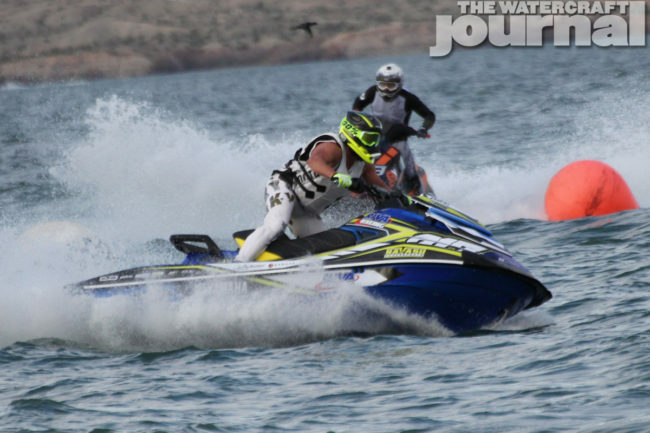 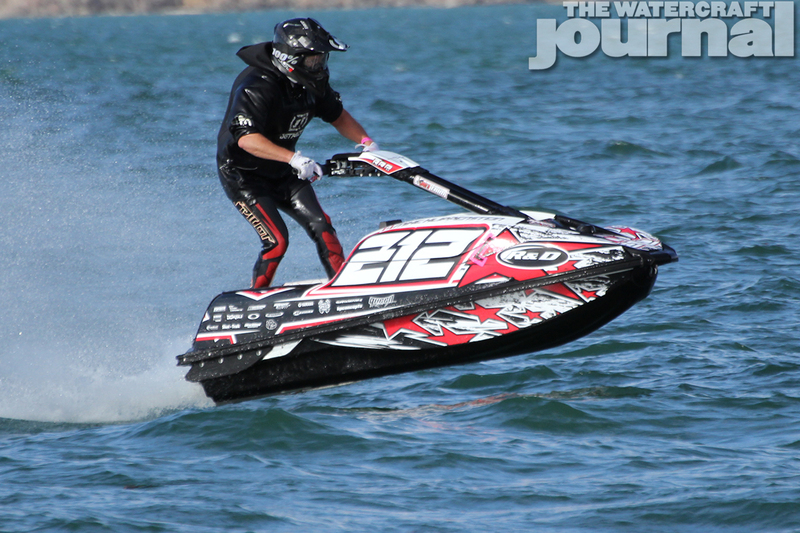 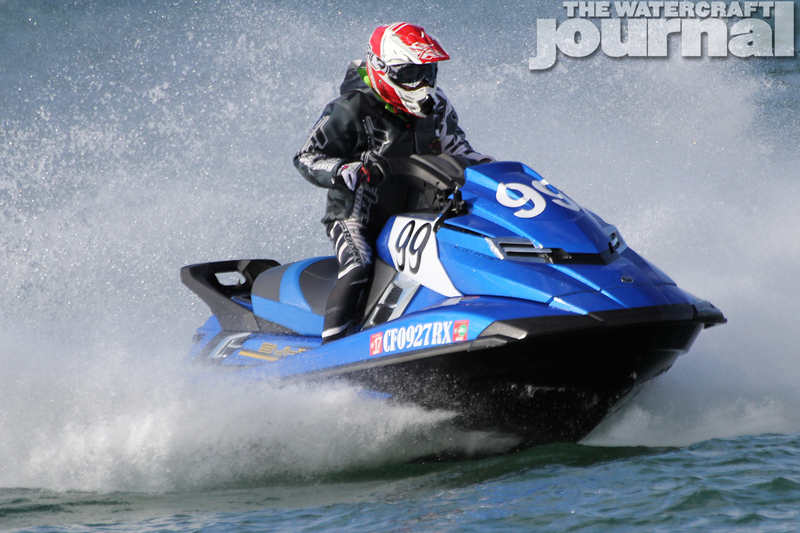 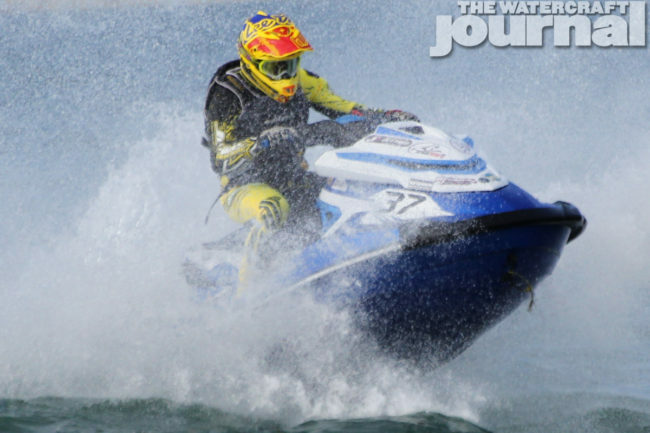 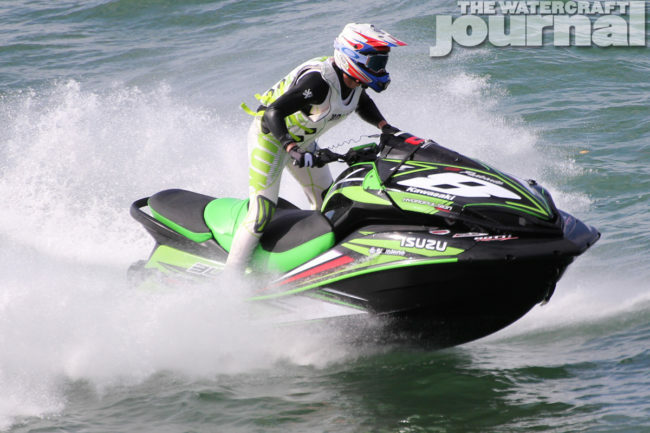 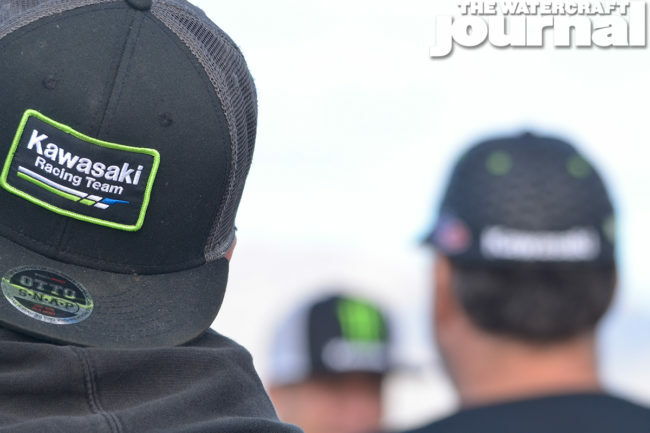 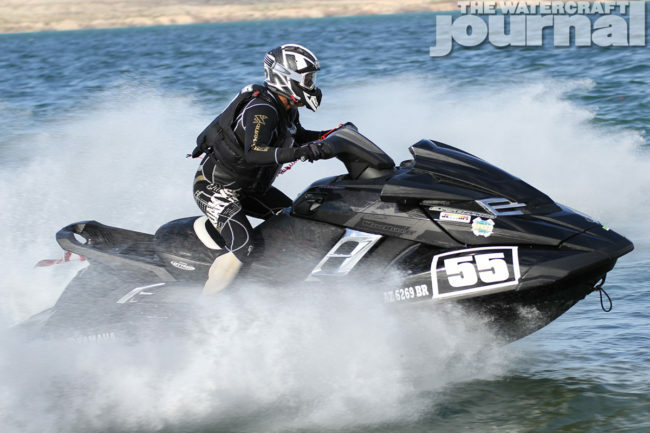 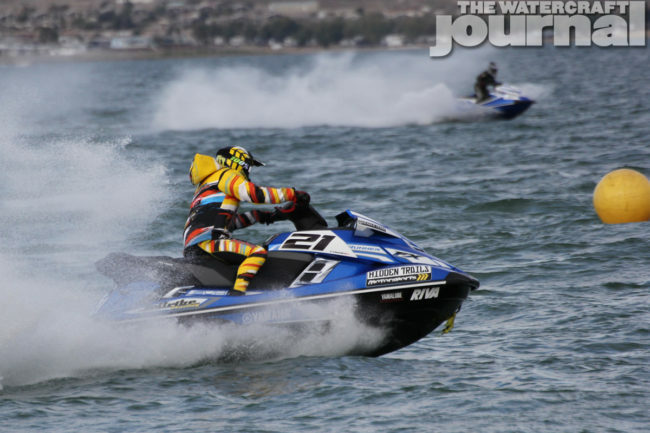 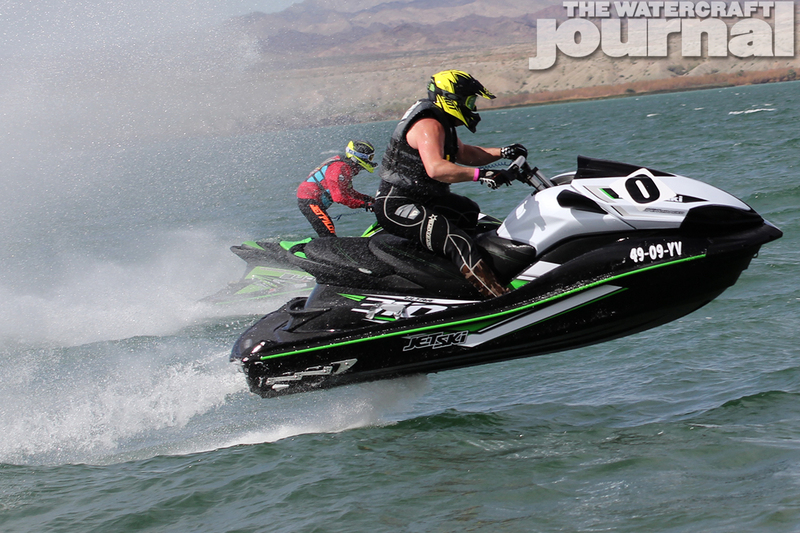 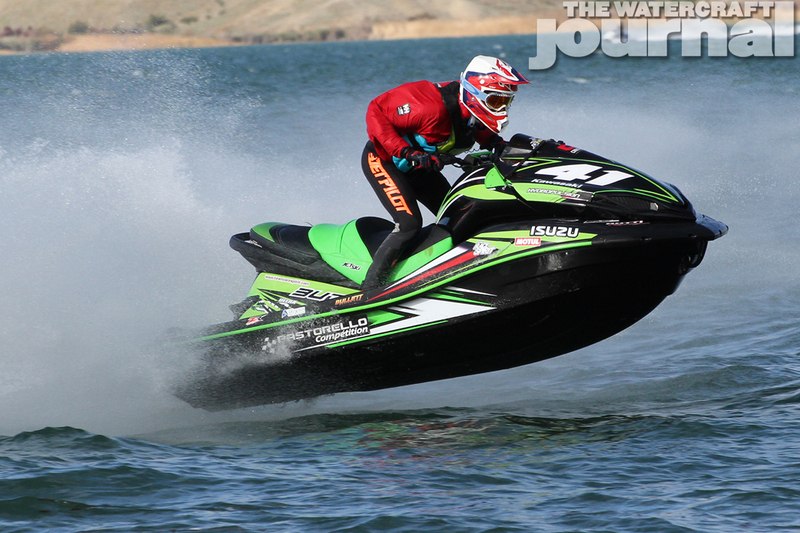 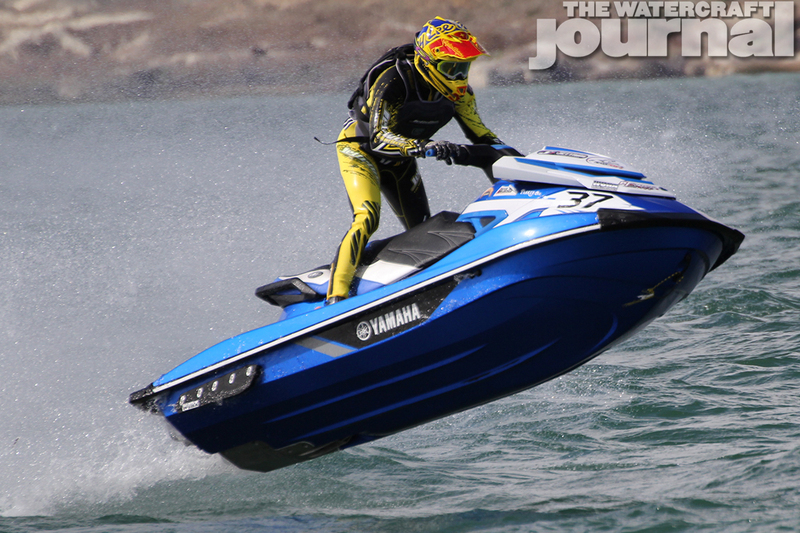 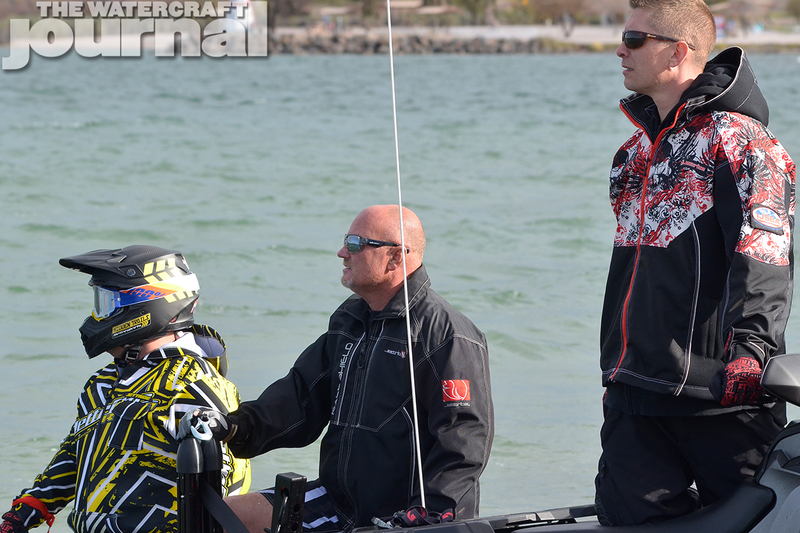 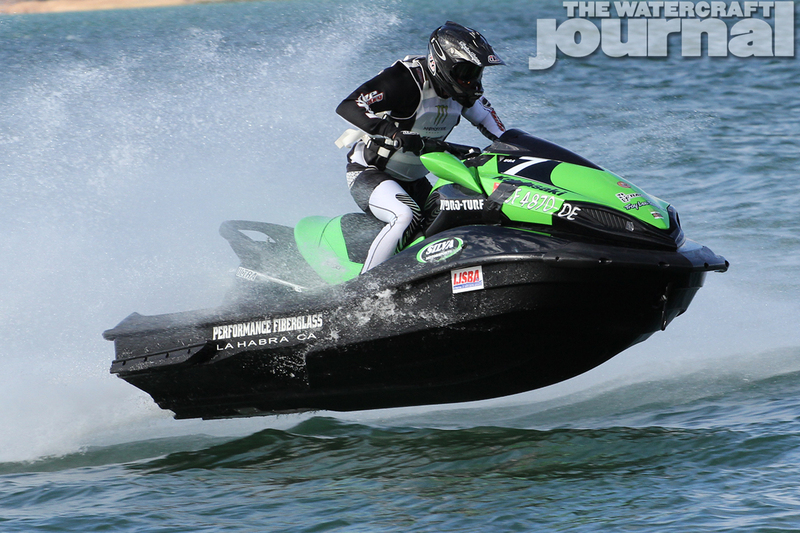 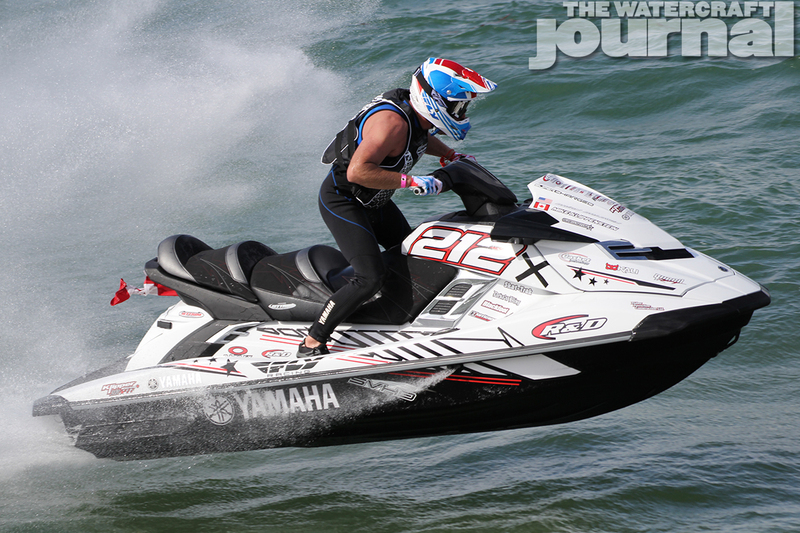 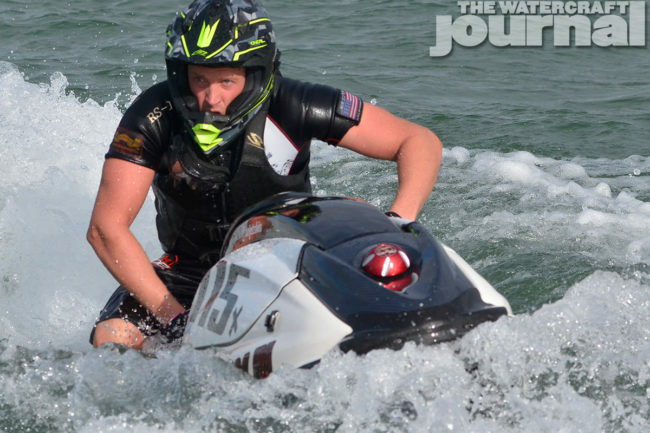 The 13th annual Hot Products Mark Hahn Memorial Havasu 300 Presented by Yamaha was rife with grueling conditions and brutally rough water, but no presence of black cats or broken mirrors could keep some of the mightiest offshore and endurance racers at bay. 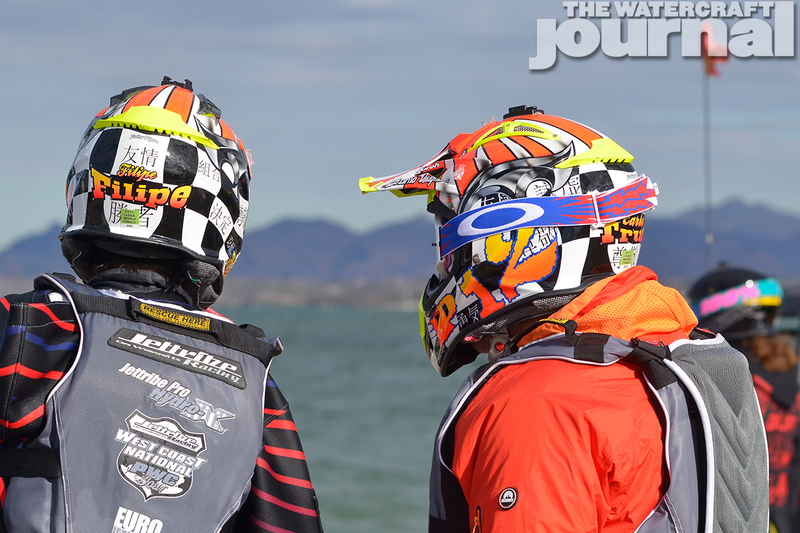 Regional, national and world champions of every stripe showed up in force, with returning French champions Jean-Bruno Pastorello and and Jean Baptiste Botti ready to retain their 3-year-championship title. Forecasts spelled dire news for racers, as Lake Havasu suffered under blistering 20-plus-mph winds, churning the massive lake fed by the Colorado River into a swirling cauldron of white caps and crisscrossed swells. 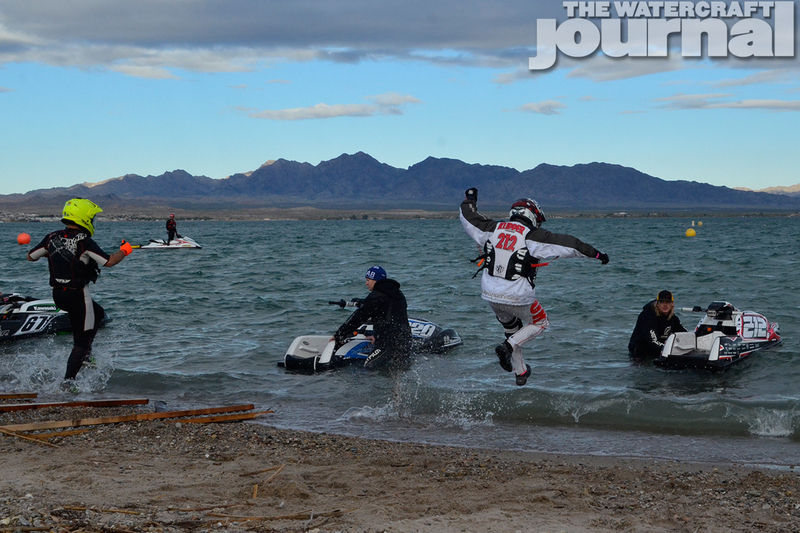 The whipping winds dropped the temperature from uncomfortable to bone chilling, and racers glared out at the water dreading every inch of its 10-mile lap. Promoters and organizers Ross Wallach, Mike Follmer and Jim Russel briefed the riders as quickly as possible, expediting the race’s start from 10 to 9am in an effort to get racers off of the water before weather worsened. 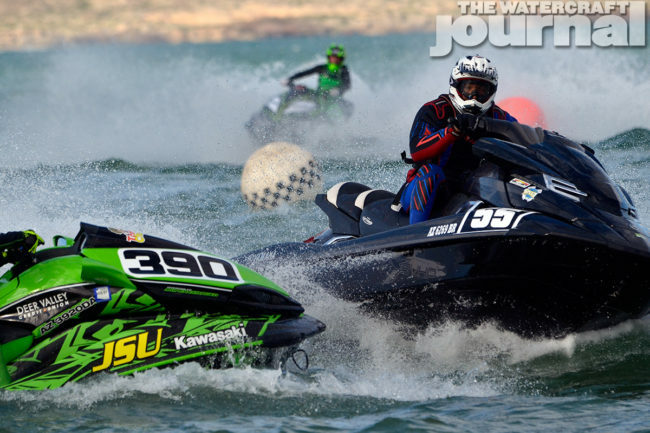 With the bark of a shotgun, the racers sprinted down the gravely beach of the Crazy Horse Resort, many doing their best to wholly leap ahead of the shoreline onto the backs of their watercraft. 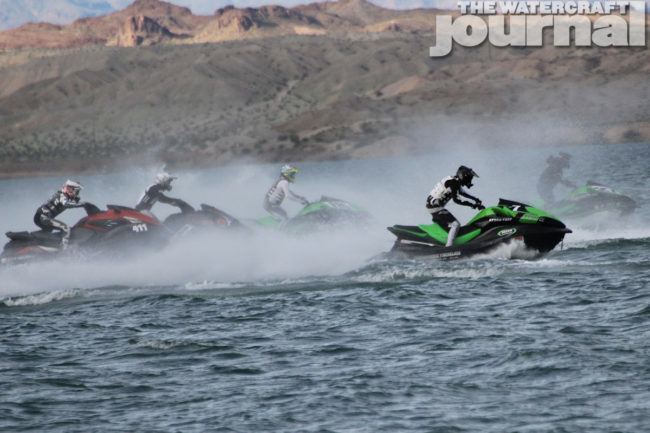 Others fumbled through the surf, clamoring aboard and igniting their starters, and speeding away. 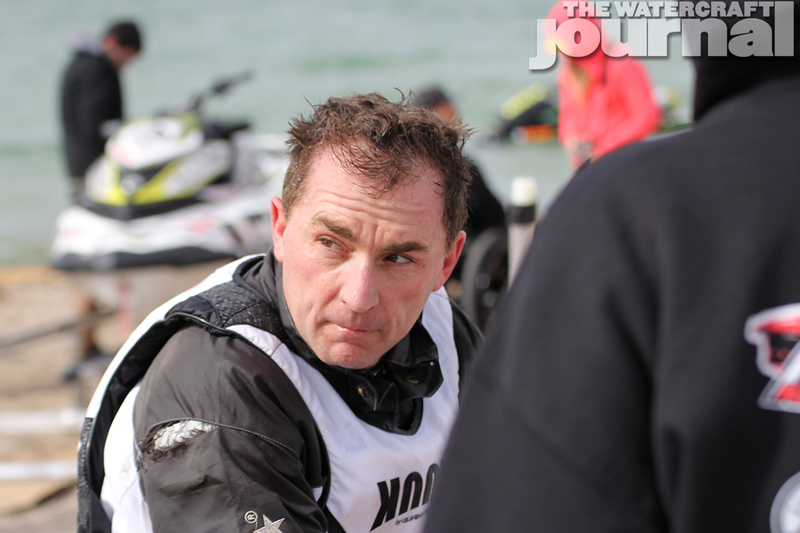 Past a dozen years of hosting the event, this year’s Mark Hahn went off with little to no complaints. To mark the event, Kawasaki hurriedly rushed the production of its long-awaiting 1,498cc 160-horsepower 2017 SX-R JetSki in an effort to satisfy IJSBA homologation standards. With over 800 units purportedly crated and on their way to dealerships across the nation, the SX-R was permitted to participate in the event alongside custom built SX-R 800, Bullet, Trinity and Kommander race hulls. 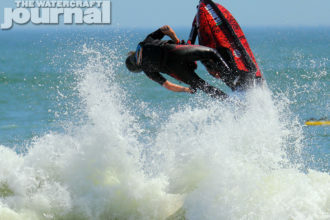 The agonizing conditions proved a boon for the 8-foot, 7-inch standup, and its 551-pound heft managed the swells deftly. 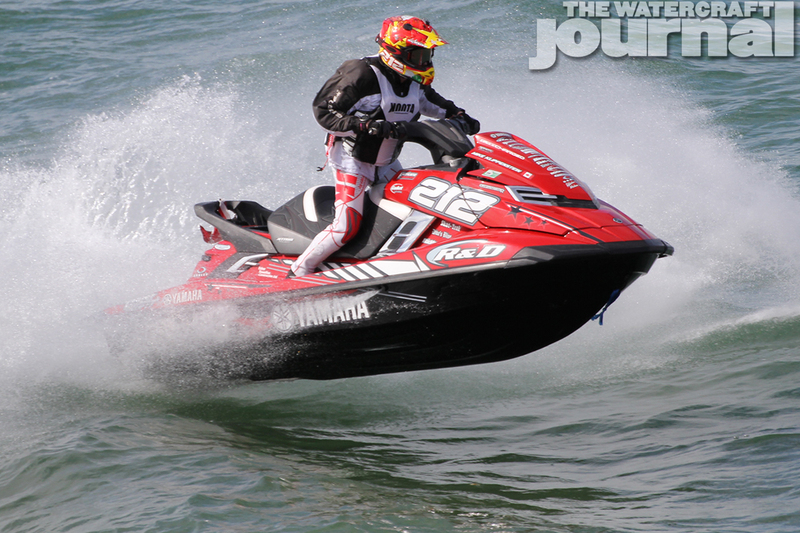 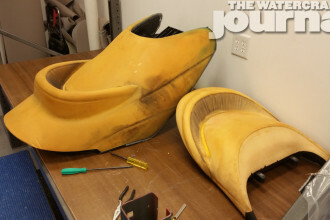 One of The Watercraft Journal‘s on site photographers, John Carter remarked, “[It] was interesting. 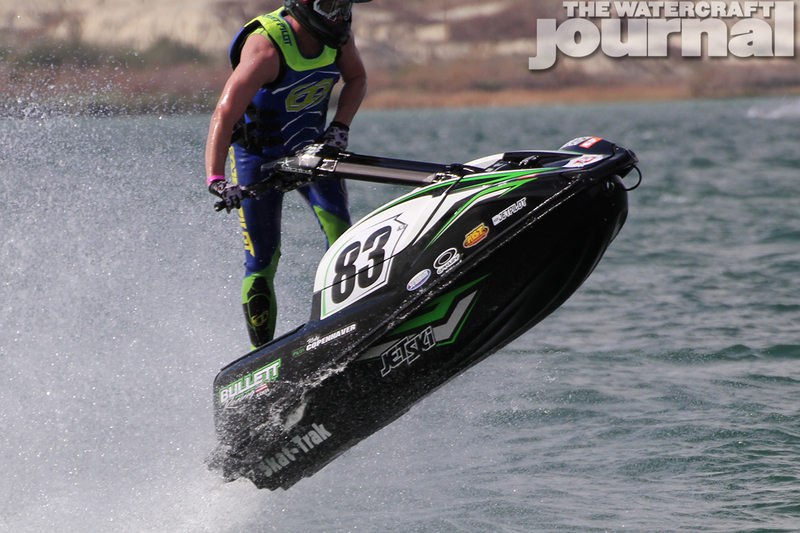 I saw a number of sit-downs getting passed by the SX-Rs.” Klipper, who spread himself over 4 different classes, joined Chad Zeman and Johnny Smith in Pro Ski Open, earning a 4th place in the class. 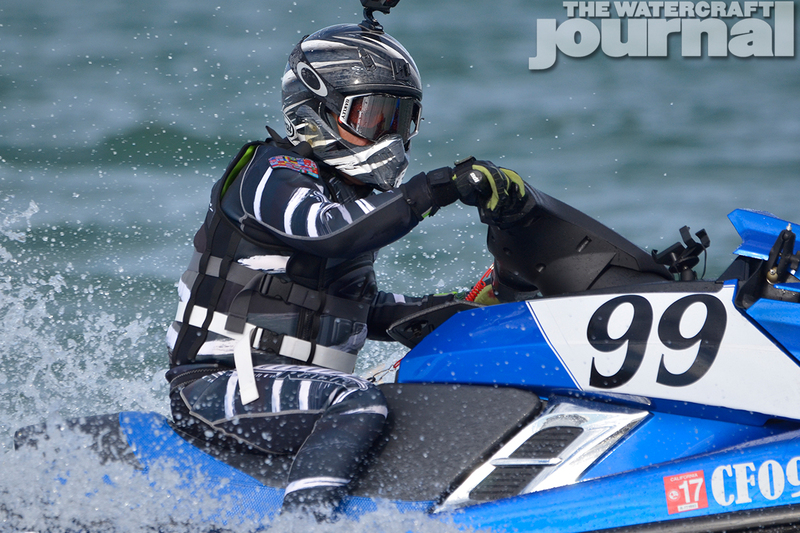 To the relief of all those competing, Pastorello and Botti completed the 300-mile endurance race at just over 5 hours and 30 minutes. 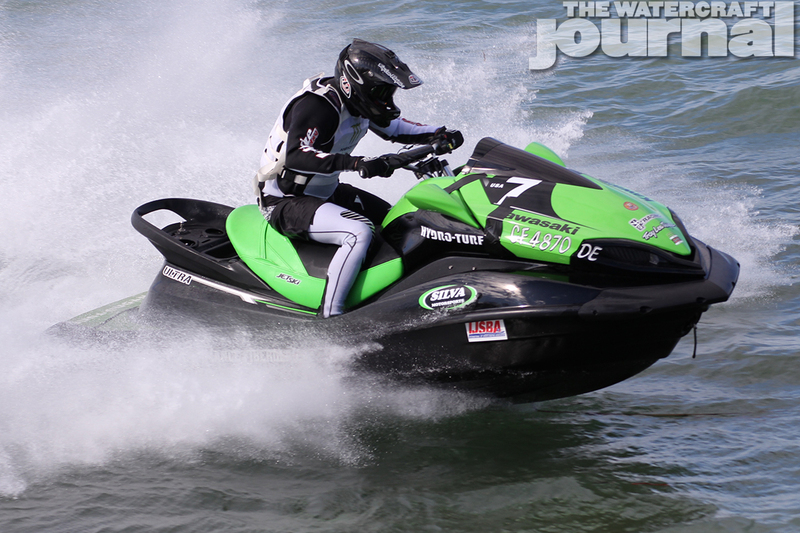 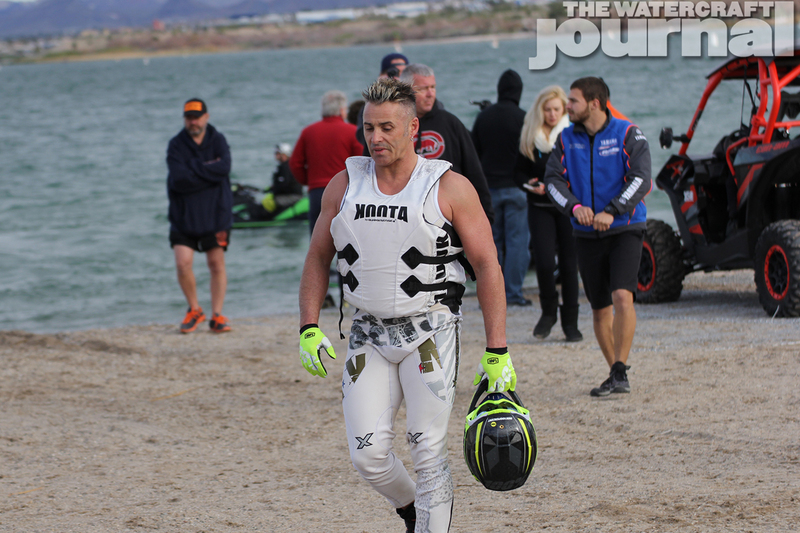 Not only did it mark a 4th consecutive win for the duo, but Pastorello’s 6th overall win aboard a heavily modified Kawasaki Ultra JetSki. 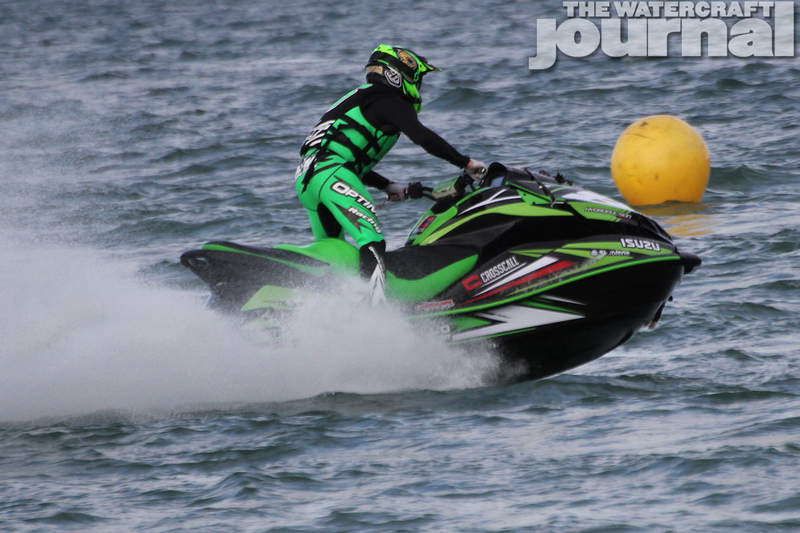 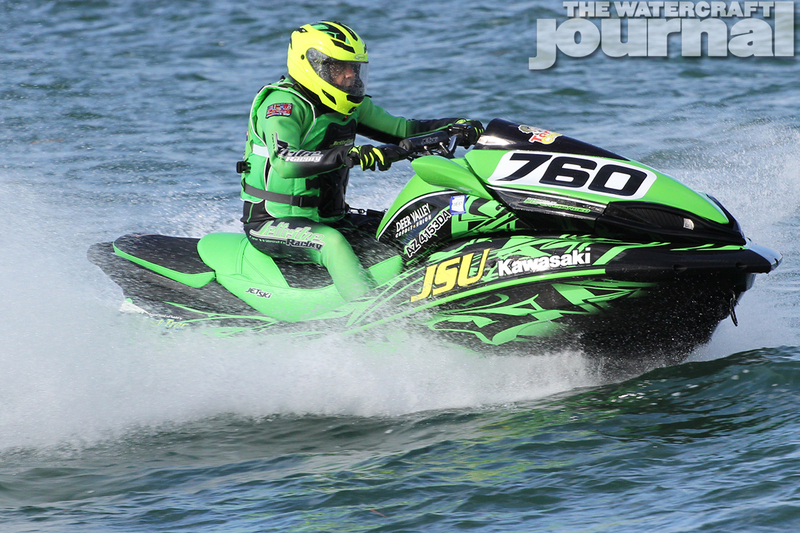 In fact, the big winner for this year’s race seemed to be Kawasaki, who not only took the top two spots in Pro Runabout Open, but the top 7 places in the 4-stroke Ski class – giving their new SX-R a heck of a christening. 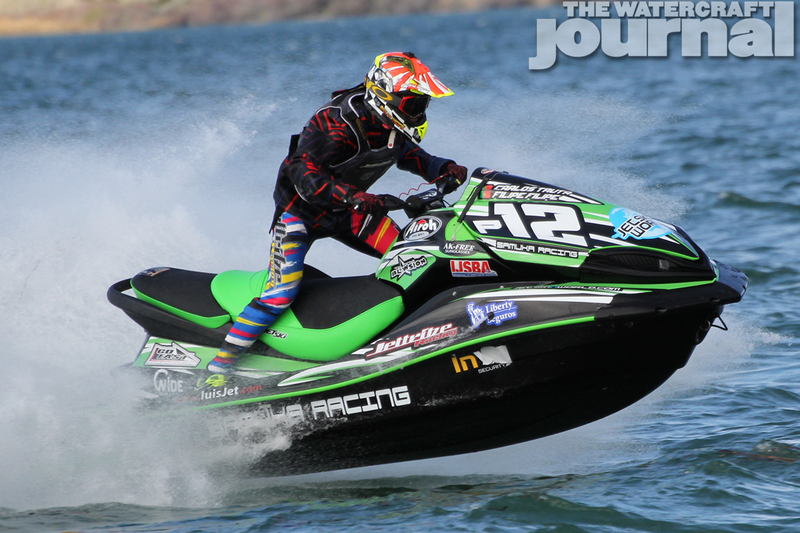 As Klipper split his time amid three runabout classes and one ski team, Baldwin rode 250 of the 300 miles, riding the FX SVHO to a win in Manufacturer’s Stock class. 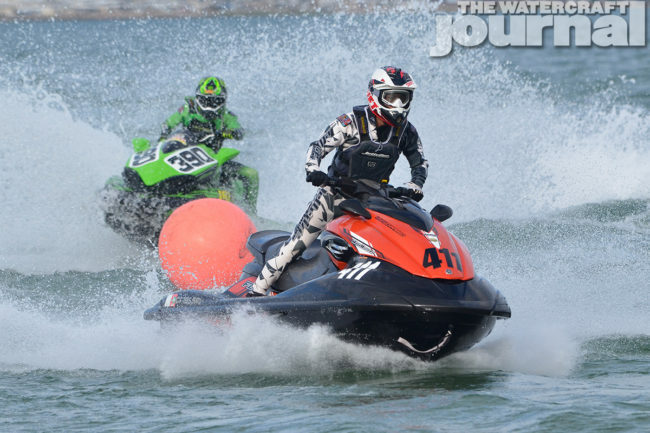 Klipper and D’Agostin managed a third place finish in Pro Runabout Open (and 5th overall after 3 penalties and a long pit stop) with France’s Jeremy Poret taking second place. 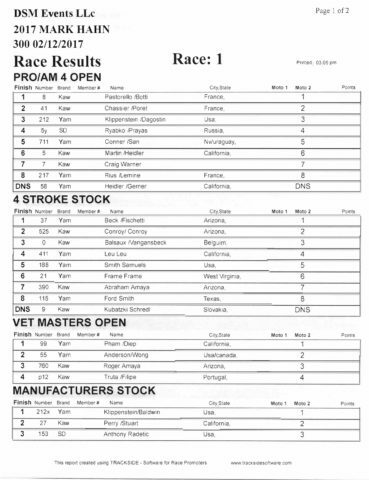 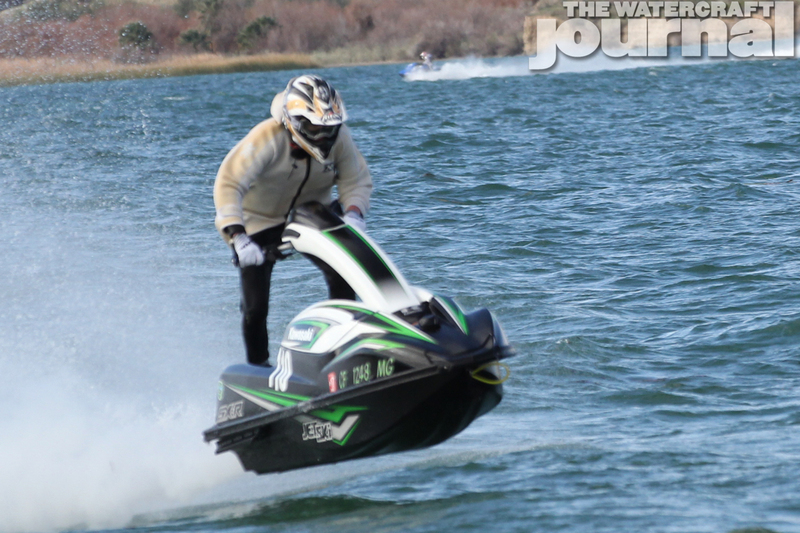 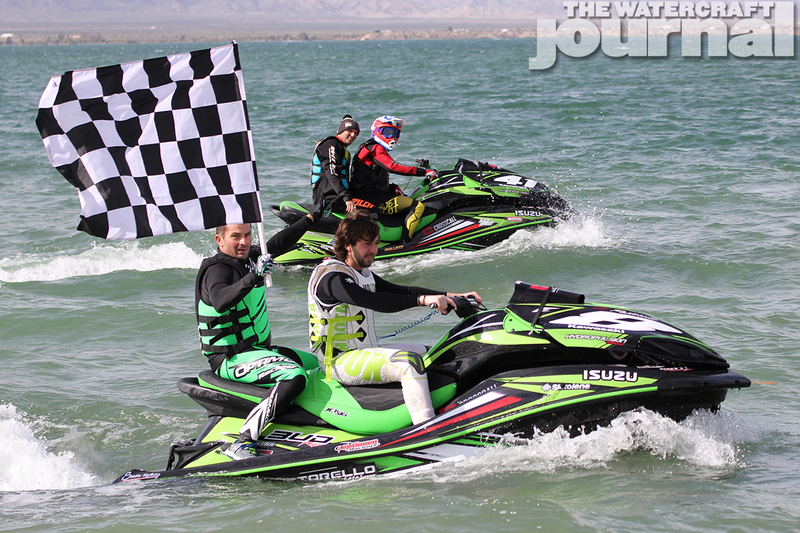 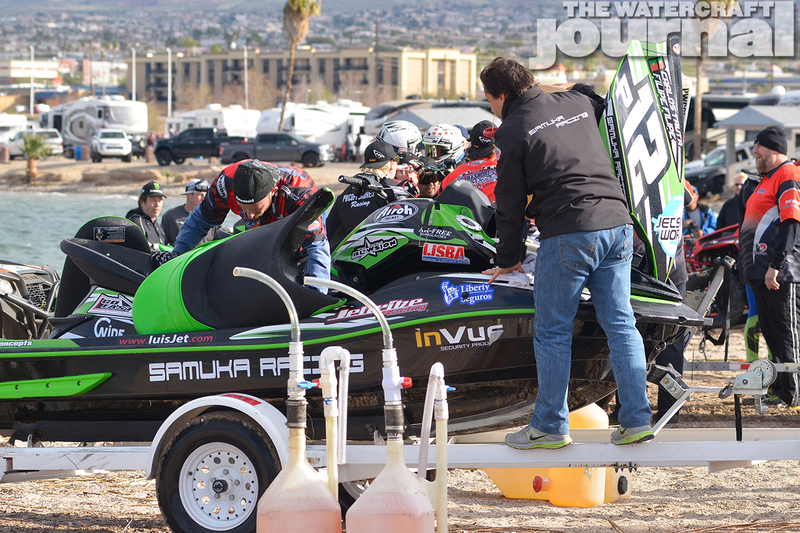 Havasu’s own Beck and Fischetti rode their GP1800 to a win in 4-stroke Stock class, and Frenchman Jean-Baptiste Botti took home a win in 4-stroke Mod Ski class. 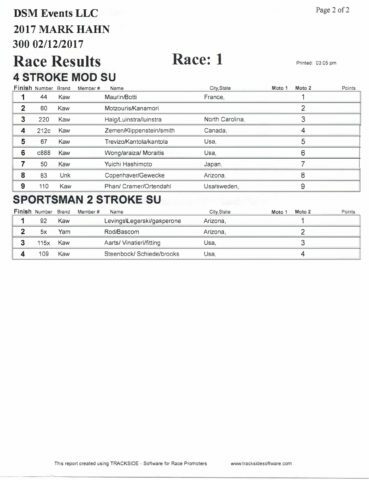 Of course, the big winners were all those who completed the crucible. 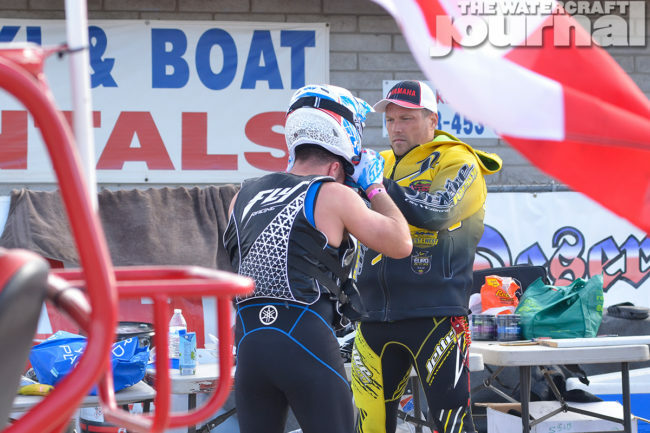 Many shared echoing sentiments, offering huge thanks to all the sponsors that made this year’s race possible, with special thanks to all the Mark Hahn organizers and staff.